Garden Engraved Bricks on Sale Now! Our front entrance garden area is almost complete (if only it would stop raining!) and we are now looking forward to placing engraved paver bricks in the walkways. 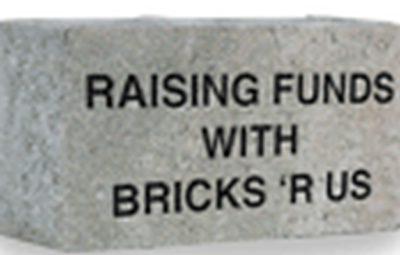 These bricks can be ordered online by clicking on the link below. They also make a great gift for a graduate of our school or a teacher – past or present. The inscription can be no more than 21 characters per line, 18 recommended and no more than 4 lines, 3 recommended. An email will be sent to you for the online form so you can add your inscription after purchase. Please visit https://squareup.com/store/AOLP-HSA/ to place your order. Thank you for your support!